02Oct17 2017 King of Darkness will be Elite for Women jump only. The organizer notified the IWWF that Elite Point status request for the men's jump event has been withdrawn. This is a trial for Overall Cash prize and Titled events. Latrobe is categorized as an introductory tournament. The 2017 World Championships overall will also be included on the list as well as any future sanctioned Elite Overall event. 31Dec16 In 2017, there will be Elite Points for Overall. The Elite list for 2008 is now complete. The Dubna organizers have notified the the World Cup that they have had to cancel the slalom event due to budgetary constraints. There is an additional head to head to follow. Notice: All of the script processing failures have been corrected and iwsfranking.com should be fully functional. If you find a failure, please notify me. Thank you and sorry for the inconvienence. As you have noticed there is a major failure in Script processing on this site so that the Elite Rankings have not been available. On an interim basis, I am re-establishing the database on a different server so that the rankings can be calculated and displayed. I am continuing to work with the ISP in an attempt to restore the site to full functionality. This reflects that there are fewer Elite tournaments in 2006 than in 2005 in these events. 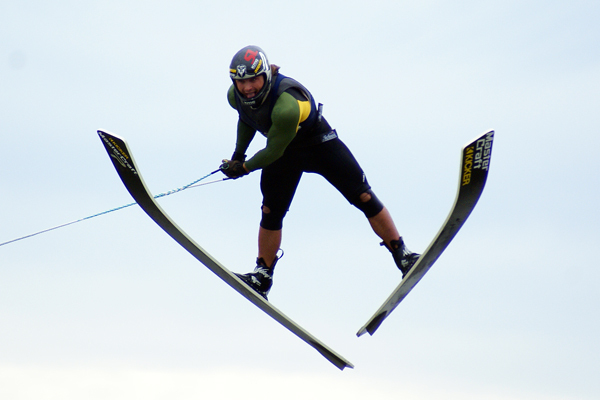 The world's top water ski jumpers will converge on Beaver Lake in Gates County, N.C., June 17-18, for what promises to be a weekend to remember. The likes of No.-1 ranked Freddy Krueger of Orlando, Fla., and Canada's Jaret Llewellyn will be there to claim their share of $14,000 in prize money and attempt to take home a new world record. Beaver Lake expects to draw 18 Pro Men jumpers from eight different countries. An amazing 15 of the top 20 on the IWSF's Elite Men's ranking list in jumping are making travel plans to North Carolina. The Beaver Lake 2006 Record Round-Up will have a $12,000 cash prize for Men Jump. The 2006 Elite Schedule page has been updated with the latest tournament schedule information. Each event has now had a points chart assigned to it and is noted on the schedule. 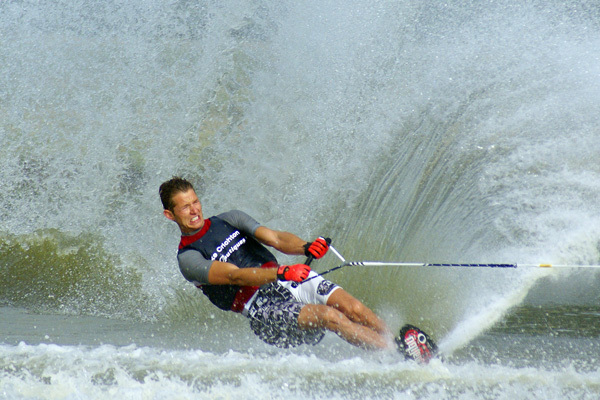 This Elite Tournament will be for Men Slalom and have a minimum of $15,000 prize money. Aaron Larkin NZE pulled through in the end and just edged out Chris Parrish for the Gold medal spot in slalom. Jaret Llewellyn was a double winner in tricks and jump. 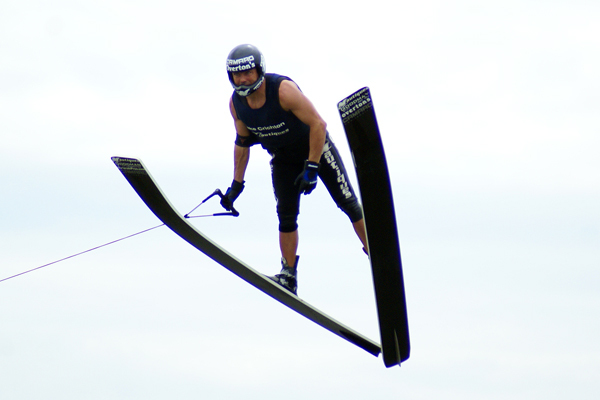 Notable performances were turned in by New Zealand skier Luke Longney finishing 5th in tricks and 2nd in jump against a strong international field on their way to Moomba. Impressive scores continue in slalom with Chris Parrish skiing 2@10.25 to maintain his lead over Jodi Fisher who scored 0.5@10.25. Jaret Llewellyn has distanced himself from the field in tricks with a score of 10650 in the second round. Jaret also leads the jump followed by Kyle Eade and Scot Ellis who looks to return to form after being injured last season. After all the results are in, the Rankings will be set for the start of the 2005 season for men. Women start their chase for elite points next weekend at Moomba. Also, the race to fill the SKI IN slot in the World Cup is being contested here. Lanni Farmer of Malibu emailed to inform iwsfranking.com of this change. The new dates are August 13-15. It was moved to avoid conflict with the Princes tournament. - Thank you to MasterCraft. iwsfranking.com will be upgrading and changing to prepare for the 2004 Elite Ranking season which starts March 5th in Melbourne, Australia with the Moomba Masters. All of the skiers will have a fresh start in their quest for their 2004 Elite Ranking points. The entire 48 card set exactly as printed is now available on this link. The information and images are now archived as the 2002 card set. Hopefully this will continue as an annual program starting with this "Class of 2002". 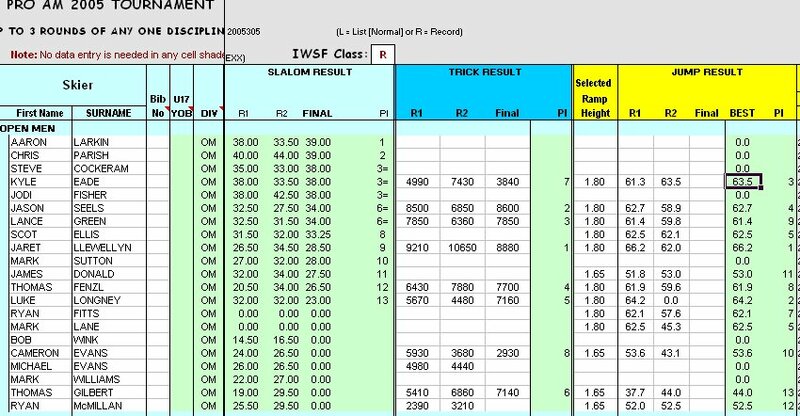 The Elite Rinkings World Championships Qualifiers are shown on each list as the top 6 with green shading. The Chevy Truck 44th Masters invited all of the top ranked skiers and the results can be seen in the ranking points. Andy MAPPLE GBR did it again and won his 14th Masters slalom title and also solidified his bid for the #1 ranking for the season. Natalie HAMRICK USA came in 2nd behind Emma SHEERS AUS in Women's slalom but gathered enough points to remain in the first position in the points totals. US Collegiate Basketball Star Mandy NIGHTINGALE USA showed off her talent and competitive drive by winning the Masters Tricks event and earning herself the top spot in the list. Nicolas LE FORESTIER FRA kept winning, but trick legend Cory PICKOS USA entered the hunt at the second spot, heating up the competition. The cash and talent heavy MasterCraft Pro Championships vaulted new leaders to the top of the Elite Rankings points lists. Andy MAPPLE GBR sits back on top of the slalom rankings after a disappointing early exit at Moomba. Winning here gives him an abundance of points that will provide a challenge for others to catch. Natalie HAMRICK USA won her first Pro Tournament and it could not have been a better one. This will put her in place as the skier to beat. Jimmy SIEMERS USA comes back to the top of the rankings after a great tournament. Perhaps this will be his chance to re-establish himself on top. There is a listing page that allows listing of any Ranking list in the database. The list can be presented in the standard format as well as by Region, Sub-Region or country. There is a generic search page that allows a search into the Ranking list database for any skier. Currently 1999-2002 is on line with expansion to 1995 shortly. Each skier's information page now can access the current season's Elite Ranking tournament results as well as the skiers IWSF Ranking History. See the Complete Ranking Information by clicking on the menu bar above the headlines. 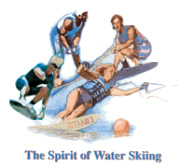 Click on the skier links in the lists for more information about the athlete. Click on the 2003 version to enlarge it or take a look at the program covers over the years on the tournament web site. 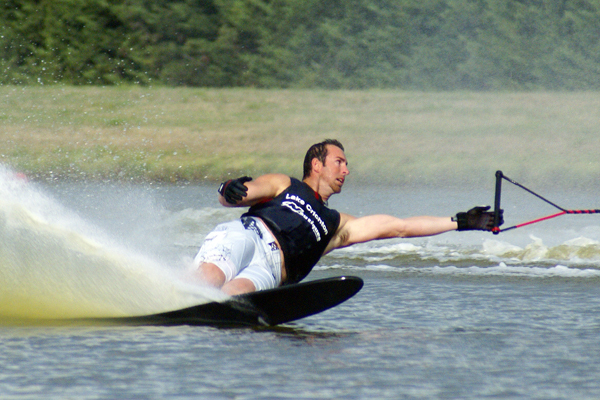 Note 1: The Masters is holding Ski Flying which does not qualify for elite rankings. The previous listing was apparently not clear. Note 2: The World Championships events are assigned 200 title points.